When a cat is stuck in a tree, or on a roof, or up a telephone pole, usually you call the fire department. And usually the firefighters do a fine job of rescuing the stranded kitty. After all, their usual job is to run into burning buildings to save people. Getting a cat back down to earth probably isn’t the hardest part of their day. 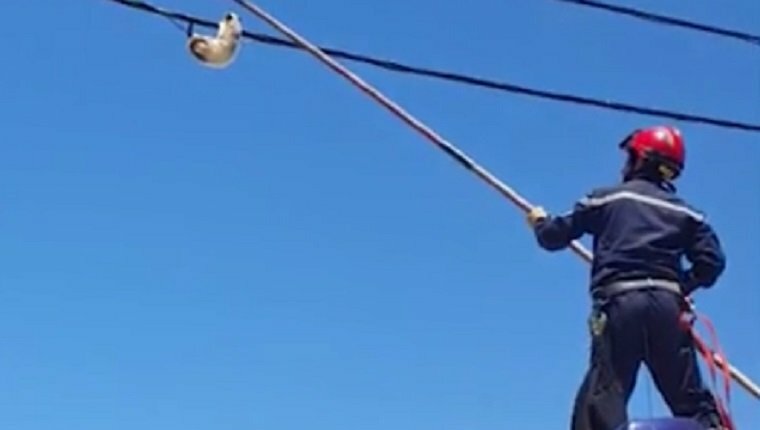 That’s why a video of firefighters in Algeria horribly botching an attempt to rescue a cat from an electric wire is so concerning. 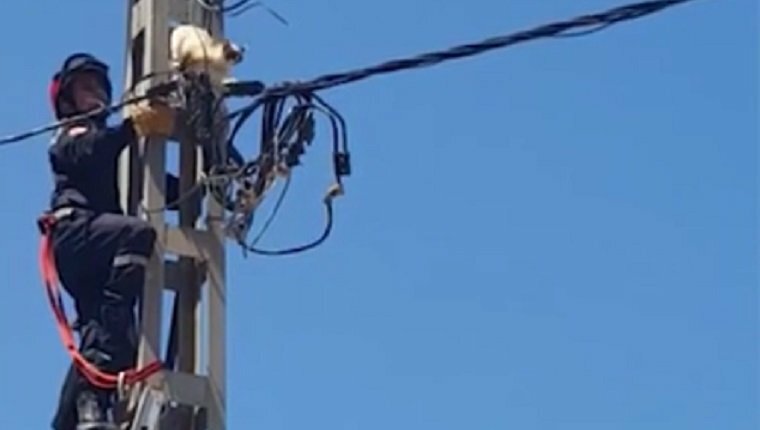 The would-be rescuers climbed a ladder to reach the cat on the pole, but ended up spooking the poor thing. The cat tried to flee across the wire, and even though the frightened animal made it pretty far, it slipped several times, hanging on with its claws. So the fireman tried a different approach. 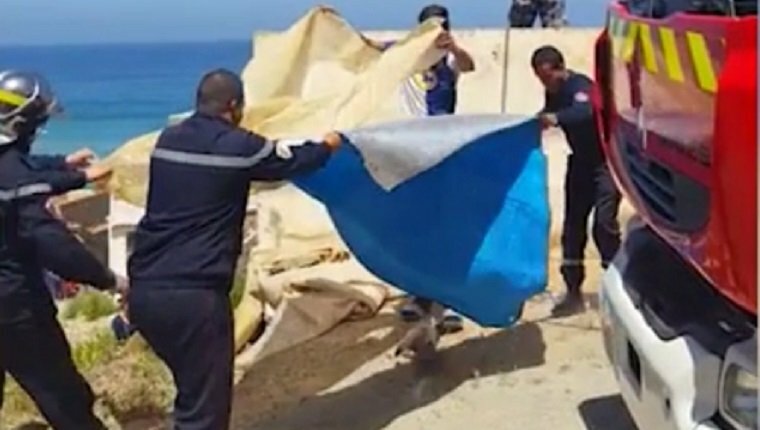 They spread a sheet at ground level to catch the cat and used a pole to try and knock the cat off the wire. Which I’m pretty sure is incredibly stupid and a good way to get someone electrocuted. During the video, the person holding the camera cackles as the cat struggles to maintain balance. That would be the most infuriating thing, if it weren’t for the fact that, after knocking the cat loose, the firefighters at ground level dropped the sheet when the cat fell. Luckily, the cat did what cats do, and it landed on its feet before running off. The cat probably would have been better off if they had just left it alone. If I’m ever in a fire in Algeria, I hope that these laughing, bungling firefighters aren’t the ones who show up to save me. What do you think of the video? How would you have handled the situation? Let us know in the comments below.